Most of us men really don’t like it when our wives sign us up for a marriage conference. Particularly on a Sunday afternoon on the far side of town. And certainly not headlined by some former TV teen star – Kirk Cameron from Growing Pains – a show in the late 1980’s I vaguely remember because my kids watched it. 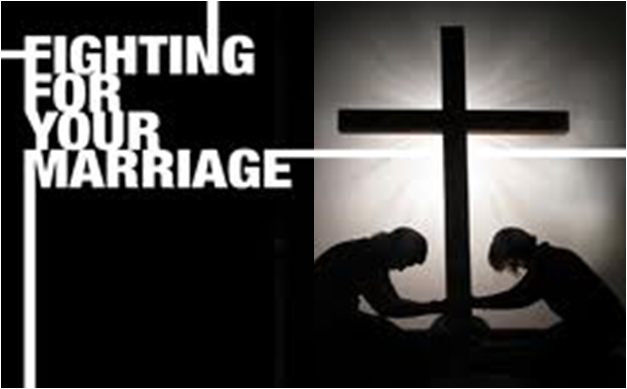 Although I enjoyed his inspirational movie Fireproof, I was not necessarily a fan, and certainly didn’t think we needed to attend his traveling marriage show, the Love Worth Fighting For conference. I agreed to attend to appease my wife’s request. Then she told me she felt compelled to invite one of our sons and his wife as well as another young couple we know. That’s when I started to dial in. Men, beware when your praying wife gets an inkling. It’s not about squelching her as much as it is about squelching the work and movement of the Spirit. I looked up the conference web site and realized the program was legitimate and not some cheesy Christian event. I went eagerly and open-minded to learn and see how God was working with this bold Hollywood Christian witness. It was an afternoon well spent for all of us, and particularly for me struck one powerful chord. If you haven’t seen the movie Fireproof and you’re either single or married, you really should get it and watch it. Pay no attention to your own sophisticated standards of movie production or even script, but do pay sharp attention to the heart and message of a marriage on the rocks and the easy web of deceit and destruction we can easily move into. It plays out in a couple’s selfish pride, willful disobedience, covered wounds, idle distractions, doubts and fears, misplaced affections, any and all which sow the seeds of marital angst and heart separation. The movie presents it credibly enough and introduces a practical process that has become an industry unto itself – The Love Dare – a 40-day prescriptive personal action plan in serving and loving your spouse. This is now available in fine stores near you in book, CD and Bible Study formats. All good, but really beside the point. And that’s what hit me this past Sunday afternoon. Kirk Cameron and singer/songwriter Warren Barfield, who wrote and performs a powerful song in the movie, actually pull off an engaging and impactful 4 hour conference. They’ve produced it in 150 cities across the US. This past weekend they have ventured into too cool California for the first time and sold out 4 events. I recommend it for any couple the next time it comes around. Using the movie Fireproof as its foundation, it moves through marital issues as most marriage conferences do. Having seen the movie several times, I was particularly surprised to be struck by one major lesson that had escaped me: we are fools for do’s and don’ts and creative ideas that obscure the source and power of true and unfathomable love. Think about it. We work hard at marriage, often in our own strength. We go on outings, we buy gifts, we have dates, we cook meals. We are nice, we are thoughtful, we do Love Dare tasks and are quite proud of our efforts. We even get kudos for the attempts. We take classes, we read books, we go to church, we gather with friends, even Christian ones. So what’s the problem? The problem is it’s really idle effort without true light. There’s a particular scene in Fireproof where this all comes to a head. Caleb, played by Kirk Cameron, is expressing his marital frustration to his Dad. His father makes a connection between the true undeserved and unconditional love of God and our own conditional human love. It’s human motions and emotions – good but not complete without the power of God in us. Watch the scene. It’s the turning point in the movie as Caleb’s light goes on. How can one show true love unless there is true love (God’s love) inside? We can’t love our spouse with what we don’t have. One must understand what true love really is. It’s not getting a reward or something in return. It’s giving whether it is deserved or not. God loves us even though we don’t deserve it. God sent Jesus to die on the cross and take the punishment for our sin, because He loves us. That’s true love. In the cosmos and in our marriages. So how do we really come to love our spouse? It’s not between us and our spouse – it’s between us and the Lord. We need Him and His forgiveness, so that we might then have the love of God, through His Spirit, flowing from us. It’s beyond our own actions and Love Dare tasks, it’s love flowing through actions and Love Dare tasks because of what’s inside of us. So that’s what I learned on a Sunday afternoon. Completely unexpected. Reconvicted of my need for His unconditional love, grace and mercy. Then, and only then, can I love my wife unconditionally as God loves me. Are you loving your spouse because He first loved you? A priceless gem of a post. Thanks for sharing thing. Have a great weekend.